Our core business began in the cold storage industry—supporting warehouses that use refrigerated facilities to store perishable goods such as fruits, vegetables, meats and beverages. 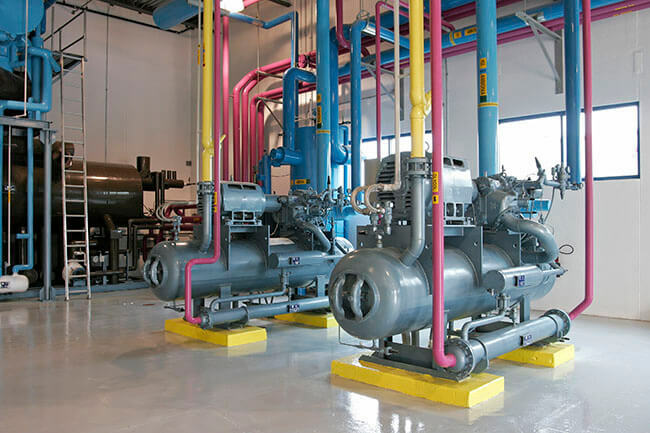 We know that the design of a temperature-controlled facility can impact every facet of your operations, from energy costs to turn-over time. We have the knowledge and capability to provide owners and operators with the most efficient and cost-effective refrigeration systems, including our CO2 Cascade Refrigeration System. Not only are these systems proven to decrease energy costs, but they also provide safer storage for your products and a safer work environment for employees.